Anyone who is age 50 or older may submit stories. You do not need to keep a blog or any other kind of website to submit stories. 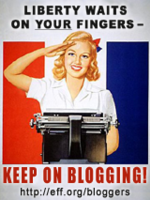 In fact, non-bloggers especially are encouraged to join in. Stories may be original or may have been previously published in a magazine, other website or blog. To avoid this blog becoming a promotional tool for authors and publishers, your story may not be an excerpt from a published book. Of course, all stories must be written by you. Stories must be submitted in the body of an email; never as an attachment. You may submit as many stories as you wish, but only one per email. Use this phrase in the subject line of your email: ESP STORY SUBMISSION. Although this overall website is copyrighted by me, authors retain all rights to their stories. Stories are accepted or rejected at my whim and discretion without debate. Stories are limited to approximately 750 words and of course, may be shorter as well. There is no exception to the 750 words rule. Stories that are longer will not be published. Spellcheck your stories before submission. Also check grammar, syntax, proper capitalization and punctuation before submission. Indicate what should be bold or italic, but do not include the html. Use all-caps sparingly, if at all. Use real names of other people only with permission. You may link to other websites and blogs. Include the link at the appropriate place within your story, but not the html. Indicate the type and conditions of any documents and pages you link to, if necessary. That is, [PDF] or [behind paid firewall] or [free registration required]. Only jpg and gif images may be used. Image width is limited to 370px but may be smaller to about 150px. Indicate where images should appear in the text. Images should be sent as attachments in the same email as your story or, if very heavy, in separate emails sent at the same time as the story. There is a limit of two images per story. Your name as you want it to appear in the byline. Name of and link to your blog or other personal site you would like to link to. It will appear as, for example: By Ronni Bennett of The Elder StoryTelling Place. If you have no blog or site to link to, just your name will appear. You may submit stories as frequently as you wish but just one per email. Because there are always a few spoilers in the crowd, stories will be published at my discretion.